Kenneth Aitchison says he's agreeing to represent plaintiffs in a proposed class-action lawsuit against five pharmaceutical companies involved in the manufacturing and sale of the drug valsartan in order to send them a message. Kenneth Aitchison says money isn't his main motivation in agreeing to represent plaintiffs in a proposed class-action lawsuit against five pharmaceutical companies involved in the manufacturing and sale of the drug valsartan. The Beaconsfield, Que., man says he wants to send a message to the drug companies. 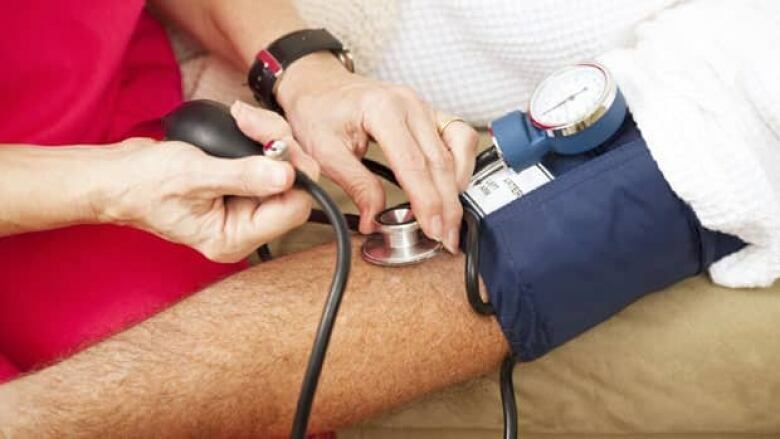 Aitchison has been taking valsartan for nearly two years to help regulate his blood pressure. Earlier this month, he learned it had been recalled — but only days after the fact. "There was a lot of anxiety. I was shocked. To think that I was taking a medication that was contaminated — it's hard to believe," said Aitchison. Aitchison said he doesn't know how long the drug he was taking may have been contaminated. He received a call from his local pharmacy several days after drugs containing valsartan were recalled in Canada on July 9, he said. Health Canada said the medications were supplied by Zhejiang Huahai Pharmaceuticals of China, and the valsartan used in the affected products contains an impurity known as N-nitrosodimethylamine (NDMA). There were similar recalls in 21 other countries. A request to proceed with the Quebec class-action lawsuit was filed in at the Montreal courthouse on Monday. A separate class-action proceeding is being filed in Ontario which will represent plaintiffs in the rest of Canada. The Quebec request names Aitchison as the applicant and claims the pharmaceutical companies were negligent in manufacturing the medication because of inadequate quality control procedures. The request says plaintiffs are seeking damages for personal injury, including increased risk of cancer, anxiety and mental distress, and additional costs for medical monitoring and dispensing fees. Aitchison suspects thousands of Quebecers will join the lawsuit, saying he's already received several calls and emails from people interested in taking part. Ted Charney, the lawyer representing Aitchison, said the hearing to determine whether the class action will go ahead will take place in six to nine months. In a statement, Sandoz Canada said its priority right now is to co-ordinate the recall of Sandoz Valsartan with pharmacists. "[We want to] support Canadian patients by working closely with Health Canada, our clients and our colleagues at Sandoz both locally and at the global level to provide alternative treatment," the statement reads. It did not comment on the class-action application. McKesson Canada and Pro Doc Limitée both said as the case is before the courts, they have no comment.